← Women’s Fiction vs. Romance: What’s the Difference? My book club is reading Don Quixote – and they’re hating it. This is an erudite group. They have plowed their way through ponderous and elusive authors like Faulkner and Jane Austen. They’ve devoted long hours to devouring All the King’s Men and The Tale of Genji. But Don Quixote is killing the best of them. And I think I know why. They’re all listening to, not reading, the book. At first I thought the explanation might lie in different translations. I’ve already written about the perils of reading the wrong version of a translated work, a problem my book club encountered with The Tale of Genji. Certainly a bad translation of Don Quixote could evoke considerable misery. Many people have complained before about the dullness and turgidity of various English translations of this work. I am reading the Edith Grossman translation, which my son used in a recent college course on epic literature. It’s lucid and funny and brilliant. I don’t have to flip to the back every other word for context or explanation, which is so often the case when reading works written centuries ago, or originally written in another language. So I certainly hit the jackpot in my choice of translation. However, I doubt this explains why my friends are hating this book. For one thing, the Edith Grossman translation is available as an audiobook, and a popular one. It’s more than likely we’re all experiencing the same words. The only significant difference is how we’re experiencing them. In the past, this has never made much of a difference. Several members of our book club almost always “read” by ear. Others prefer reading on a Kindle, and others like the feel of paper pages. We’ve always had great discussions anyway, and we’ve never seen a pattern where everyone reading had a different experience than everyone hearing a book. For a book like Don Quixote, however, how we “read” the very same version may be critical. The length alone may explain a lot of the problem. Sure, holding a fat volume in your hands is intimidating. So is having Kindle or the equivalent endlessly remind you that you’re only 10 or 15% through with the book you feel like you’ve been reading forever. But listening takes longer than reading, and the audio versions of this book require devoting over 34 hours of time to the task. 34 hours and 21 minutes, to be precise. That’s a whole lot of listening time. Reading takes quite a bit of time, too, of course. This is a long book, and there’s no getting around that. I read it decades ago as a teenager and don’t remember thinking it was unusually or intimidatingly long, but by today’s standards, this is one major commitment of time. And these days we all feel we have a lot less of that time, and a lot less patience for any extended dedication of that time to a single task, especially to one extended narrative. Whether we’re right or not is a whole other topic, but we are certainly convinced that we have better, more efficient ways to satisfy our literary cravings than with serial novels or endless descriptive prose. And yet I’m loving every minute of these admittedly extensive hours, and my friends are not. Could the problem perhaps be the narrator? This is a potential problem for me with all audiobooks. The wrong tone, the wrong speed, the wrong emphasis, the wrong accent, any of these can turn a good book into a miserable mess. When I read the narrator is the voice in my head. When I listen, the voice is not under my control. 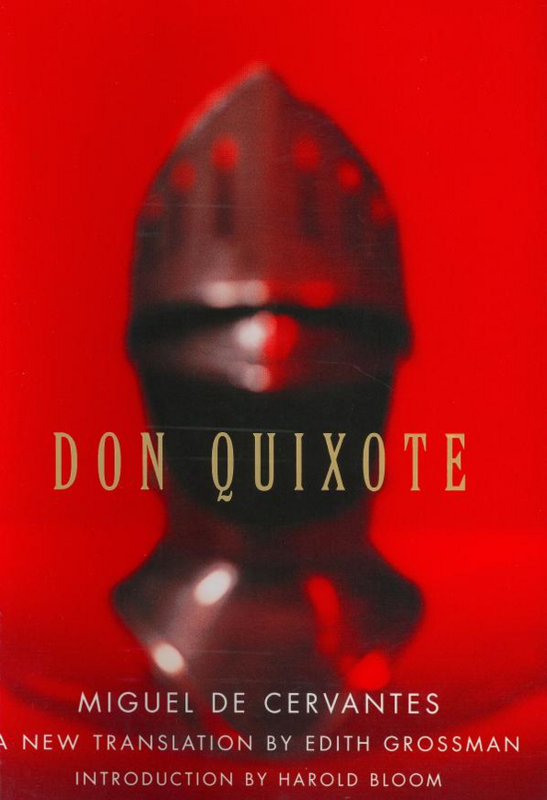 I suspect, however, that even if the length and narrator weren’t particularly troubling, Don Quixote is not the kind of book that lends itself to audio. This book is filled with long ramblings about the nature of reality and the nature of literature, witty but sometimes irrelevant asides and musings, and stories within stories that go on for chapters. I can see how someone listening can easily lose track and wonder where the whole thing is going or when it will end. I don’t have this problem with a physical book, or even the e-book I happen to be reading. I’m sure this is in part because I have a lot more control than my friends getting the story on tape. I am much more capable of controlling the entire experience to my liking, speeding up the narrative, slowing it down, checking to see if a particular episode is going to go on for the next hour and deciding if I’m in the mood to ride it out just then. I like seeing when the paragraph will end. I like knowing the chapter is coming to a close. I like sensing at every point how far into the tale I have gone. You can’t do that when unmarked words keep spilling out over each other. You can stop and look at the tracker, sure. But you don’t have a sense of where you are or where you’re going with every word. By reading I can also control my experience from moment to moment. I can even breeze over the “dull” and “dated” poetry and archaic references if they fail to reach me. I know they are there, and I can appreciate their place in the narrative. But I don’t have to listen to some narrator drone on and on for some indeterminate period of time. It could well be that very nature of Don Quixote simply makes this work best accessed through the act of reading. Think about it: Don Quixote is often called the first modern novel and considered a founding work of the Western literary canon, distinct from earlier canonical works such as the Odyssey and the Aeneid not only because it was told in prose rather than verse but also because it was intended to be read rather than heard. Perhaps the very nature of this novel makes it less appealing, and less accessible, when offered up in audio form. Perhaps being written, and ready for reading, is essential to the nature of this book, an essence that is inherently lost in the audio translation. Perhaps understanding what makes this book so groundbreaking and so moving requires the one-on-one, cerebral, self-controlled experience between the words on the page and the mind of the reader that we know as reading words. I am by no means knocking audiobooks in general. Listening to books “on tape” has become a popular way to “read,” especially in a society where many people spend much of their time in the car. Audiobooks allows for multitasking in whose new ways: you can “read” while you’re jogging, swimming, or driving. I do sometimes read physical books while riding my Exercycle and in moments of bravado have even attempted a few pages while knitting (book stands help here). Truly, if you’re pressed for time, multitasking via audiobooks can be a lifesaver. And there’s certainly nothing wrong with experiencing literature aurally. For most of human civilization, in fact, listening to a singer or speaker or chanter was certainly the most common way that people got their stories—especially before the printing press made written books widely available. Admittedly, I personally prefer the experience of actual reading, perhaps because I grew up experiencing books this way and came to cherish that direct, unmediated encounter with the written word. But I am willing to acknowledge that this is by no means the only, or even the best, way to experience literature. Maybe it’s just a case of knowing when to say no to audiobooks. At least I hope that is the explanation and that my friends will consider cracking open an old-fashioned copy and finish reading this book that they are now threatening to abandon. Because, frankly, this book from early 17th century Spain is too brilliant and too funny and too moving, and too relevant to our lives even today, to miss.